"From the outset, they [Virgil Boutellis-Taft and Guillaume Vincent] impose themselves by the reciprocity of their listening and the brilliance of their phrasing in The Crane whose roughness they feel perfectly and whose inexpressible emotion they recreate. They interpret with infinite sensitivity, virtuosity, perfect tempo and remarkable sonority this extraordinary program which represents a magnificent journey covering a century "between East and West". 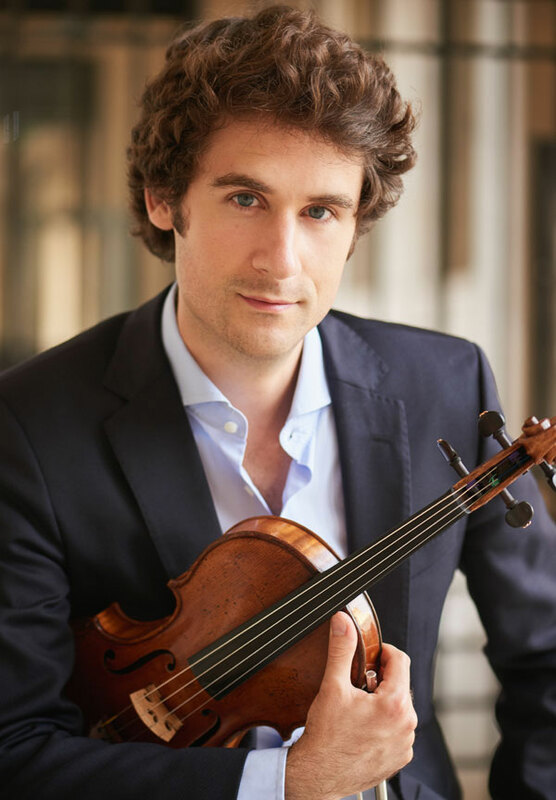 "The violinist Virgil Boutellis-Taft combines impeccable sound with an impressive virtuosity flying over all the unbounded difficulties that are to be found in these scores .... To put it briefly, a highly successful trip between East and West! “. "Virgil Boutellis-Taft is an interesting musical personality. Lovely sonority, beautiful imagination in the playing of timbres, and great precision, which in no way excludes a captivating expressivity, especially in the "oriental" pieces but also in Debussy. "... intense, brilliant, sumptuous sonority over the whole range of the violin of Virgil Boutellis-Taft, very “into the string”, magnified by a very sure bow ... Let's listen to the "Intermède" of Debussy's Sonata for Violin and Piano: how evident! One has the impression that this amiable entertainment, elegant and refined, is born of itself, as if the two performers were each Debussy himself. There is not a single phrase that does not seem perfectly in its place, played exactly as it should be ... Let's listen again to the Janacek Sonata: everything is there, burning lyricism, but without superfluous pathetic effusion, the quasi-demiurgic power of inspiration without the impression of demonstration, accuracy without coldness. And yet, it is not an easy work to listen to, in its intense concentration ... We listen to the whole disc with feelings that range from simple pleasure to enthusiasm - a disc that reaches, in its best moments, an incandescent intensity ". "...Proof that with a bow you can get thrills from Johann Sebastian Bach." "Boutellis-Taft interprets [Bloch] with forceful vigor... impressive sound effects... In Janacek's Sonata... he delights the audience with his dexterity, spirit, and great sensitivity... In the Debussy Sonata...the violin is insolent and exotic... a finely nuanced playing, with bright flashes of humor and virtuosity... In the Poem by Chausson ... Virgil Boutellis-Taft offers a spectacular performance ... an exquisite sensitivity in the melancholic passages and a dazzling brilliance during the moments of passionate intensity... In Bartok [he] is inflamed; his approach is... dramatic, languorous and spicy all at once... the musicians set themselves ablaze, they also inflame the public..."
"...he played with great brio - ease of the bow, impeccable left hand and such musical intelligence ... we can only praise, in addition to the professionalism of the violinist, his fabulous energy, which held us spellbound from the beginning to the end..."
"words fail me...such control, sensitivity, nuances!... it was exceptional...the virtuosity and the generosity...There was also the body choreography, the bow hairs soared, even the score flew from its stand, such the strength, the commitment, the almost savage bowing and the expressivity of the young violinist possessed the work of Enesco. A strange impression, that of experiencing a rare moment with Virgil Boutellis-Taft, already accustomed to excellence. " «... musical maturity... intelligence... undeniable virtuosity... We particularly admired the round warm sound of Virgil Boutellis-Taft..."
"Six Romanian dances Sz 56 by Béla Bartók are particularly acrobatic for the violin and Boutellis-Taft employs his instrument impressively, with no difficulty in the harmonics and a virile but discreet sautillé. His 1742 Montagnana produced a brilliant and particularly rounded sound. In the oriental suaveness of the third dance as well as the vivacity and brilliance of the last three...The duo is simply awesome." "... Virgil played beautifully... He brought a dedicated delicacy to the music that blended perfectly with the orchestra under Maestro Neal Gittleman...Virgil's graceful interpretation resonated marvelously... his cadenza was a tour de force." " engaging personality... sweet sound... sophisticated musical sense... facile technique... an extraordinarily talented young artist."